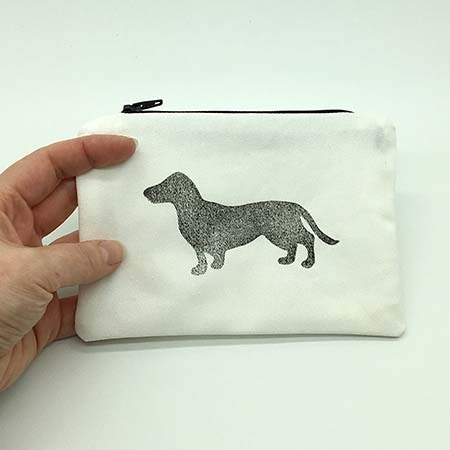 A rectangle hand block printed pouch with our very cute Woof print on the front and back. 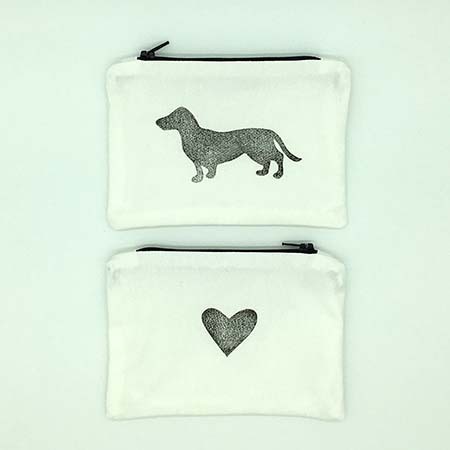 This quirky pouch is really handy to keep your goodies tidy, especially in your handbag or backpack. 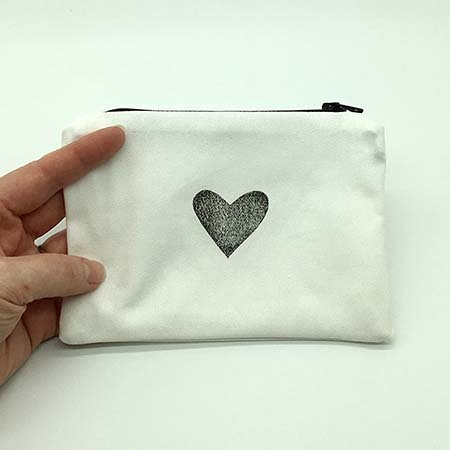 Hand block printed 100% white cotton, with a 100% white cotton lining. Machine sewn with a black zip closure. Cold wash with like colours and a mild detergent. Steam iron while slightly damp. Notify me when Woof Pouch Woof pouch is available.